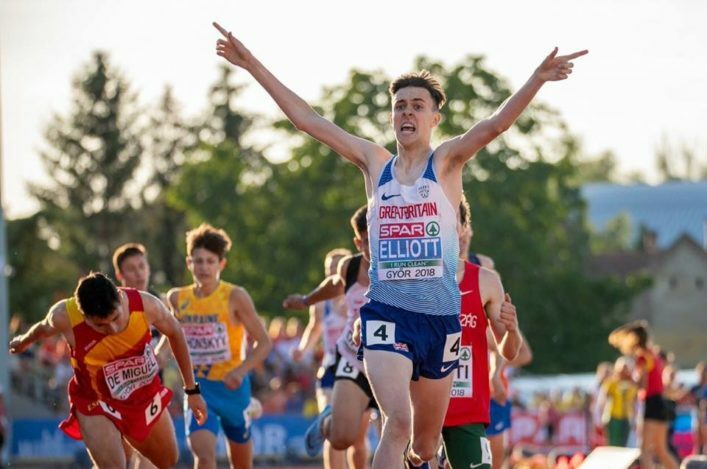 Kane Elliott has taken the European Youth Championships 1500m title, in a Championship Record time of 3:55.26. 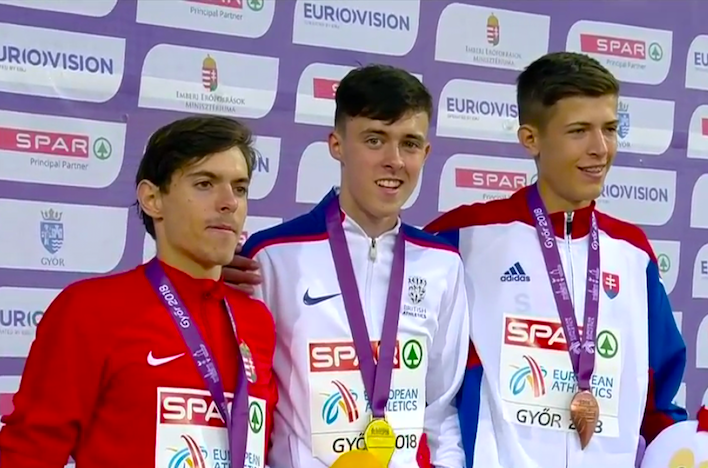 The Falkirk Vics runner pulled out a fine sprint finish for gold during a thrilling race in Gyor, Hungary on Saturday evening. With Kane’s PB standing at 3:46.84, it might have looked like a leisurely pace on paper, but he had to fight for his place on top of the podium after emerging into the final straight sitting in 4th. He said: “It feels amazing. It was a very tough race but I’m so happy I had enough to get the win. It is an unbelievable feeling to be European champion. I am not sure I can get my head around it at the moment, it’ll take some time to sink in. “I knew I had to move out [with 100m to go] otherwise I was going to get boxed in so I had no other choice. I knew I had enough left in the tank so I just gave everything I had to get a medal. 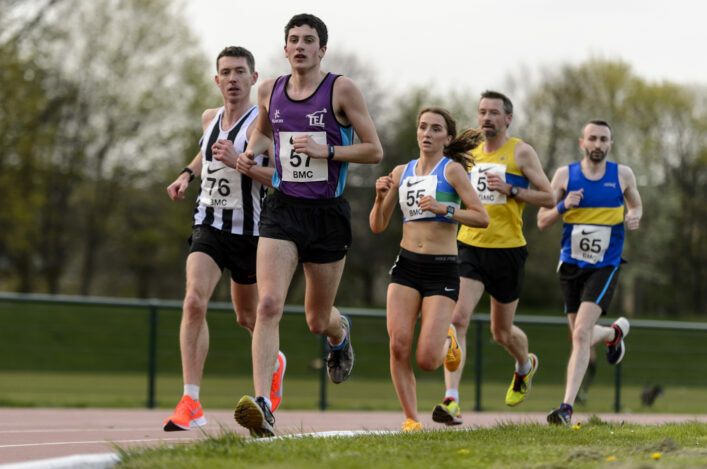 Congratulations to Kane, coach Willie Sharp, and all on the team at Falkirk Victoria Harriers.